All enzymes produced at Solis BioDyne are exceptionally stable at ambient temperature due to a specific genetic modification - Stability TAG. 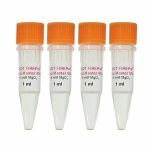 Stability TAG increases polypeptide self life and its tolerance for temperature at a wider scale without compromising the properties of the polypeptide itself. After being stored at ambient temperature for one month (tested up to +35°C), the enzyme remained fully active. 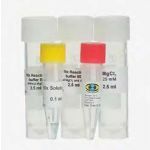 Stability TAG Technology is now applied in all of Solis BioDynes products providing the client with enzymes, end-point Master Mixes and qPCR Mixes with exceptional stability at ambient temperature. The stabilizing effect of Stability TAG has been tested on a variety of proteins including Taq DNA Polymerase, hEPO, PCNA, pyrophosphatase and hLIF. 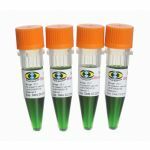 A number of tests with different Stability TAG attached proteins revealed no affect on protein properties. For example, pluripotency was maintained in ES cells during gene targeting using Stability TAG-hLIF; amplification of DNA using Stability TAG-Taq DNA Polymerase (FIREPol® DNA Polymerase) was performed with the same efficiency and accuracy as with regular Taq. Our products have been tested for stability at +35°C. Our enzymes FIREPol® and HOT FIREPol® DNA Polymerase exhibited no alteration in performance even after four weeks at +35°C (Figure A). Also no change in performance was detected between qPCR Mix stored at -20°C and the mix stored at +35°C.